This is a square C.F.& I. Coals porcelain sign. This particular C.F.& I. Coals sign is predominantly white with red and black text. 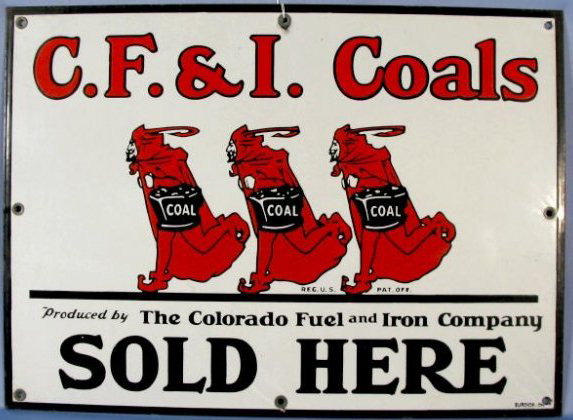 It reads, “C.F.& I. Coals Sold Here, Produced by The Colorado Fuel and Iron Company” and features three red devils holding coal buckets in the center.